Jesse Rath belongs to the realm of Canadian actors who are making waves in Hollywood. The talented and charismatic Rath has featured in several movies and TV shows in the course of his relatively young career. One of them is the American sci-fi series, Defiance. The series focuses on post-apocalyptic earth inhabited by aliens and humans alike. In Defiance, Rath plays the role of Alak Tarr, an alien who falls in love and marries a human female named Christie McCawley. His wife later dies and he struggles to raise their child alone. Find out more about Jesse Rath here, including his bio, movies and TV shows, as well as his equally famous sister. Jesse Rath was born on the 11th day of February 1989. He grew up in the city of Montreal, Quebec Province, Canada. There is not much information about Rath’s childhood or educational history. There is, however, no doubt that the actor is well-educated. Jesse Rath commenced his acting career as a teenager in his native Canada. His very first role came in the 2005 sports biopic, The Greatest Game Ever Played. The movie featured Shia LaBeouf and told the real-life story of Francis Ouimet, a poor immigrant who fell in love with golf at a young age. At that time, golf was a sport reserved for the elite but Ouimet did not allow this to deter him. He overcame poverty, as well as his snobbish opponents to win the prestigious US Open in 1913. He made history as the first amateur to win the major. The inspiring biopic was filmed in Rath’s home city of Montreal and he got the part of a runner in the movie. A runner is basically an errand boy in movie production. Despite this lowly status, Jesse Rath was able to gather valuable experience, as well as break into the movie industry. Jesse Rath hails from a family of four. There are no details about his parents’ names but the actor has revealed that his father is of British and Austrian-Jewish descent. His mother, on the other hand, is of East Indian descent. Rath inherited his mom’s Indian heritage and has been cast to play Indian characters. For instance, in Aaron Stone, he plays the role of a young man who hails from the Indian city of Kolkata. Jesse Rath is not the only popular actor in the family. 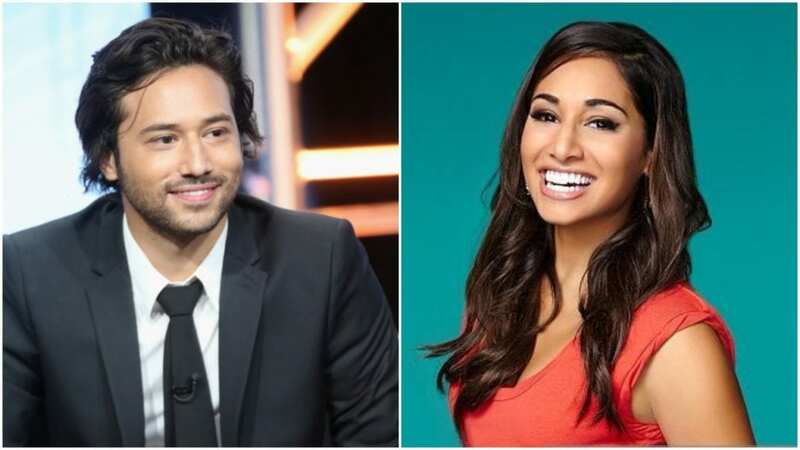 His elder sister, Meaghan Rath, is a fast-rising actress. Meaghan is older by three years, having been born on the 18th of June 1986. She studied film and TV at the Dawson College Quebec before commencing her acting career. Her first professional role came on the Canadian TV series 15/Love. Since then, Meaghan Rath has appeared in many TV series, as well as a few movies. They include Cyberbully, The Assistants, Aaron Stone, 18 to Life, Being Human, and Hawaii Five-O. Meaghan plays a leading role in Being Human. The Canadian TV series focuses on a vampire, werewolf and a ghost as they try to live as normal human beings. Meaghan plays the role of the ghost named Sally Malik and has attracted fans with her sassy personality. Apart from acting, Meaghan Rath is also a budding producer. She has co-produced an indie film titled Three Night Stand. Jess Rath and his sister have worked together on a few occasions. They have both featured in TV series such as 18 to Life, Aaron Stone, and Being Human. See Also: Will Tudor – Bio, Is He Gay or Dating Anyone, Who is The Partner, Girl or Boyfriend? Since making his debut as a lowly runner, Jesse Rath has gone on to acquire an impressive filmography. On the big screen, he has featured in movies such a Prom Wars: Love is a Battlefield, Dead Like Me: Life after Death, The Howling: Reborn, The Good Lie and His Turn etc. On the small screen, Jesse Rath has appeared in TV series such as Aaron Stone, 18 to Life, Mudpit, My Babysitter’s a Vampire, Being Human, Code Black, No Tomorrow, Supergirl and Gone. Aaron Stone is a Canadian-American sci-fi TV series. It tells the story of a teenage boy who can transform himself into his video game character in order to protect his family and the world at large. Rath plays the role of Ramdas Mehta/Lethal Lotus and belongs to Aaron’s crime-busting team. 18 to Life is a Canadian sitcom which follows a young couple who gets married right out of high school. The newlyweds have to contend with their in-laws; the hippy liberal parents of the girl and the stiff conservative parents of the guy. Rath plays the role of Carter Boyd in the sitcom and has received several award nominations for his performance.